The solution is simple to Exclude a Folder in Windows 10 Defender! Please open Windows 10 or 8.1 settings! [Windows-Logo] + [i] keyboard shortcut or via Start Menu. See also: ✐ ... it always comes back to virus and Trojan messages, why? 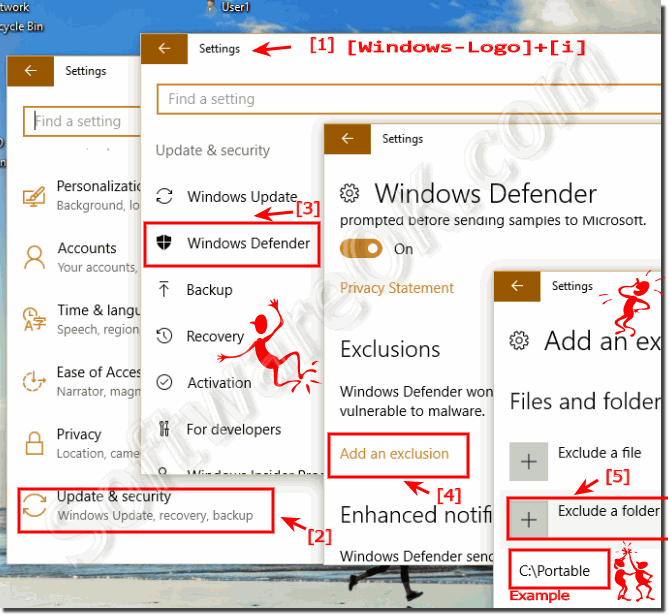 (Image-1) Exclude Folders in Windows 10 and 8.1 Defender! SoftwareOK - FAQ-6: Exclude a Folder in Windows 10 Defender!